ROOMING: We will be staying primarily in the Bee Hive complex with dorm style rooms separated by gender. Every YSO musician is expected to join us for the retreat. It's an important part of the ensemble's musical growth and bonding process- not to mention fun! 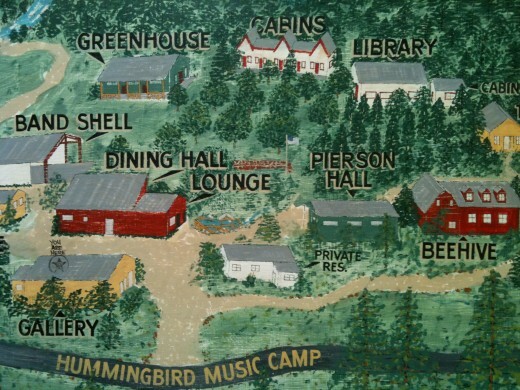 The YSO operates as a team, and much of that mentality will be developed at Hummingbird. I'm especially looking forward to getting some extensive rehearsal time, and getting to know the musicians over the weekend. We will be departing from Larragoite (1604 Agua Fria) at 5:30 PM promptly. We have rented a bus for (ONE WAY) transportation from the Los Alamos Public Schools. Please take a moment to read the Los Alamos Public Schools bus rules. IMPORTANT: PARENTS MUST PICK UP STUDENTS OR ARRANGE TRANSPORTATION ON SUNDAY. Musicians will be provided with Friday and Saturday dinner, Saturday and Sunday breakfast, and Saturday lunch. Sunday's lunch will be a potluck style, so PLEASE BRING SOME SMALL FOOD ITEMS when picking up your musician. While meals listed above are provided, I STRONGLY suggest that each person bring some non-perishable snacks in case they get hungry. If they're anything like I was as a teenager, this will definitely be a good idea! - If you are UNABLE to make this year's retreat so that we may confirm our final numbers for the Hummingbird staff asap. - We will be going on an evening hike on Saturday – bring comfortable shoes! - I STRONGLY suggest you bring extra non-perishable snack food for between meals. Sunday's lunch will be a potluck style with parents, in order to avoid having 25 bags of chips, please follow these GENERAL suggestions. *Note that there is NO bus returning to Santa Fe. Musicians will need to be picked up, or carpool.